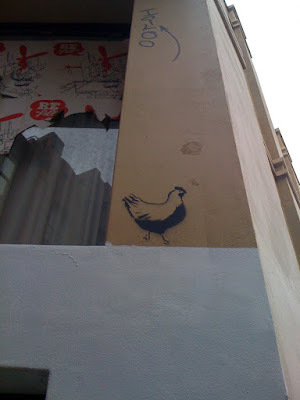 When you see this stencil chicken you’ll spend five minutes thinking about how someone got up there and painted it. This street artist is either pulling midnight ladder tricks or using cars like scaffolding. 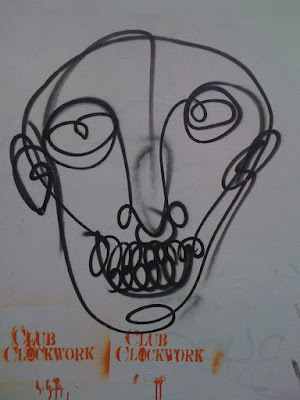 Here is another squiggle face. Not sure if the artist is getting better, worse, that i’m finding them in the wrong order, or if it’s a case of ______. 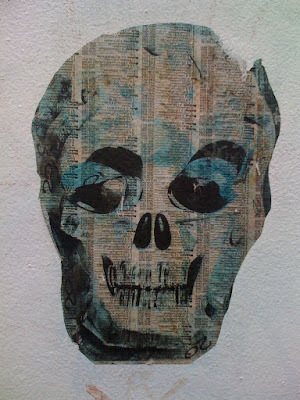 This skull is painted on an upside-down page pulled from a phone book. 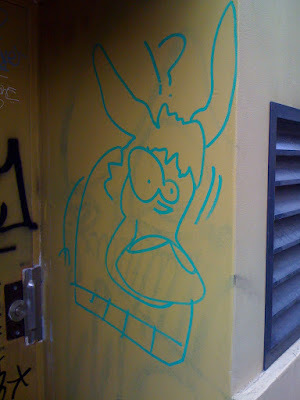 I found one in Surry Hills a while back. I heard some prints like this are glued to walls using a flour/water mixture. I also heard that if it rains in an alleyway, you’re probably getting pissed on.